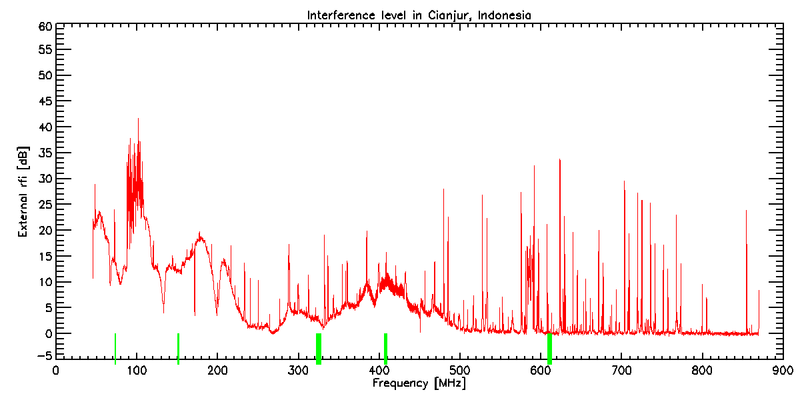 Spectral overview taken with Callisto during ISWI MAGDAS workshop in Cianjur, Indonesia. Green markers show frequency ranges which are protected for Radio Astronomy but shared with other services. 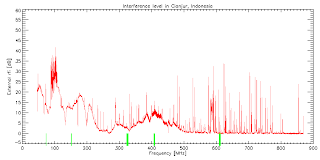 The whole range might be used for solar observations except the FM range with strong local transmitters. Even in the TV range above 500 MHz there are still quite a lot of channels available for scientific observations.